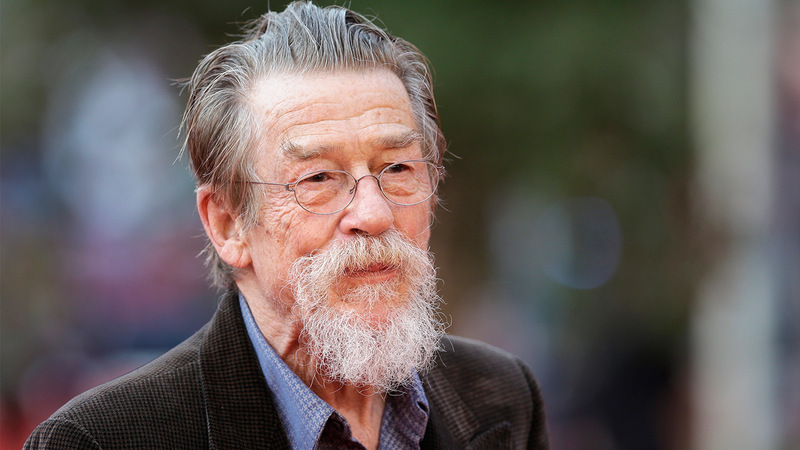 John Hurt, a prolific British actor whose decades in Hollywood included roles in the Harry Potter series and "Alien," has died at age 77. The two-time Oscar nominee disclosed in 2015 that he had been diagnosed with pancreatic cancer. In a career that began in the early 1960s, Hurt performed in dozens of roles in television and movies, many of them made in his native Britain. Among his better-known roles were the title character in 1980's "The Elephant Man;" wandmaker Ollivander in the Harry Potter films and Chancellor Adam Sutler in "V for Vendetta." He also played Kane in "Alien." In one of that 1979 film's more gruesome scenes, his character dies horribly as an alien bursts out from inside his body. Hurt was made a British knight in 2015. He also won a Golden Globe Award and four BAFTAs, including a lifetime achievement recognition for his contribution to British film.